TumblrWhat color is this dress? 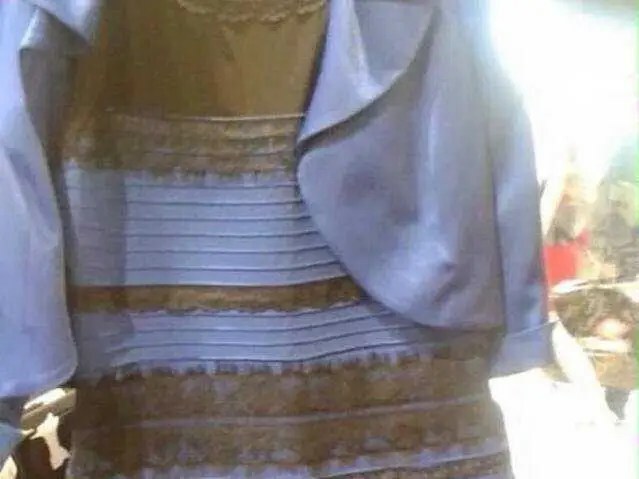 The world’s most famous dress sent the internet into a hyperactive state overnight. Debates about whether it is white-gold or blue-black have raged, the two women behind the fateful image have been found, and you can even buy the item if you want. 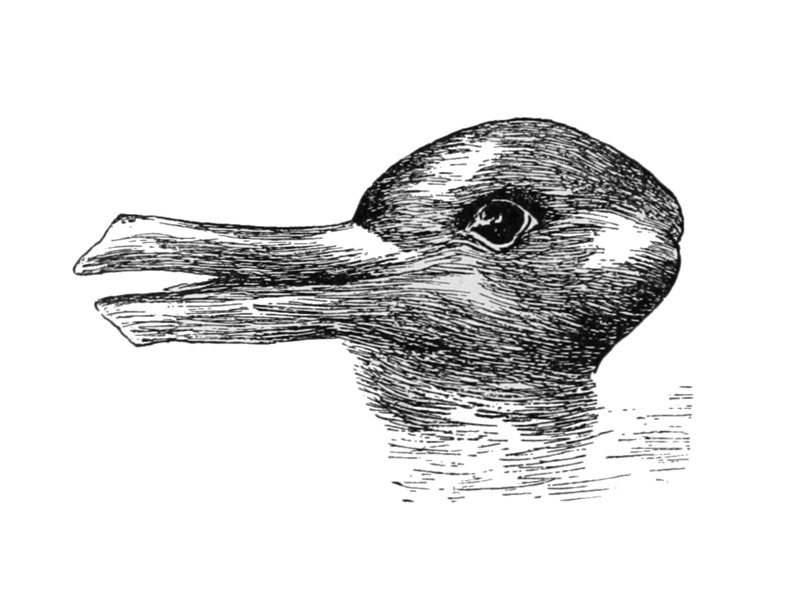 But this picture is just one in a long line of optical illusions that play with our minds. 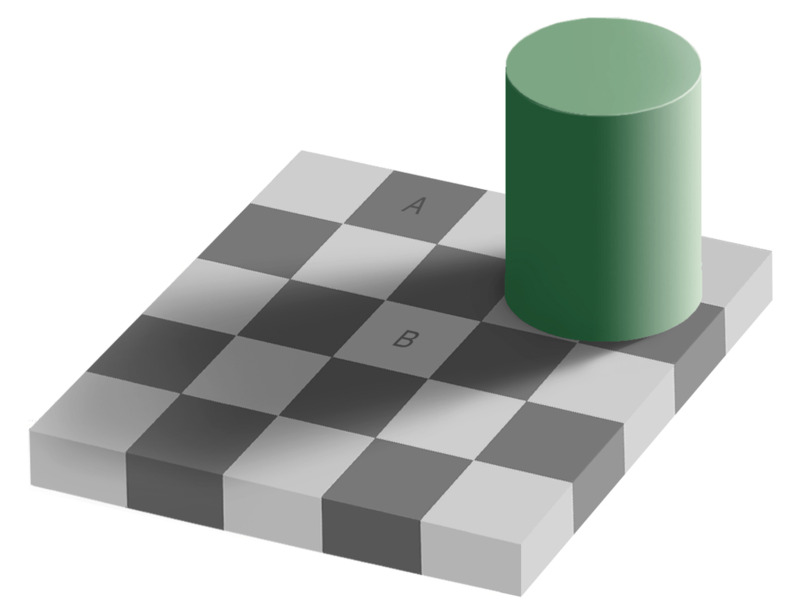 Checker shadow illusion: Tiles A and B are the same color! Neon color spreading: The neon lines make it appear as if there is a light blue circle in the image, but the background is white throughout. 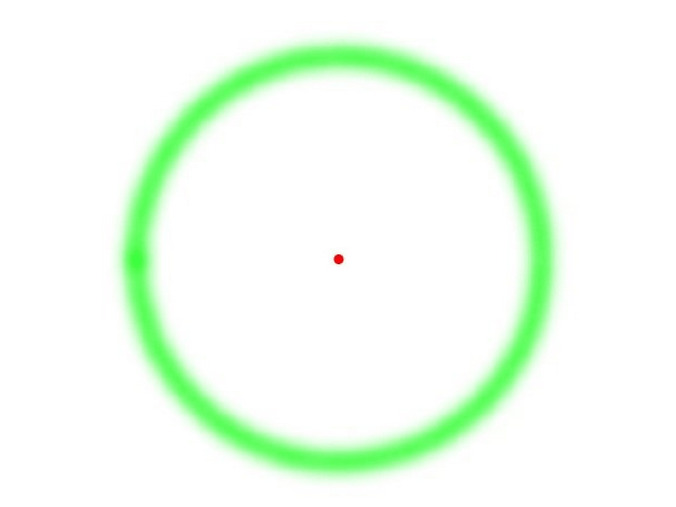 The Troxler effect: If you stare into the red dot for long enough, the green circle will disappear. 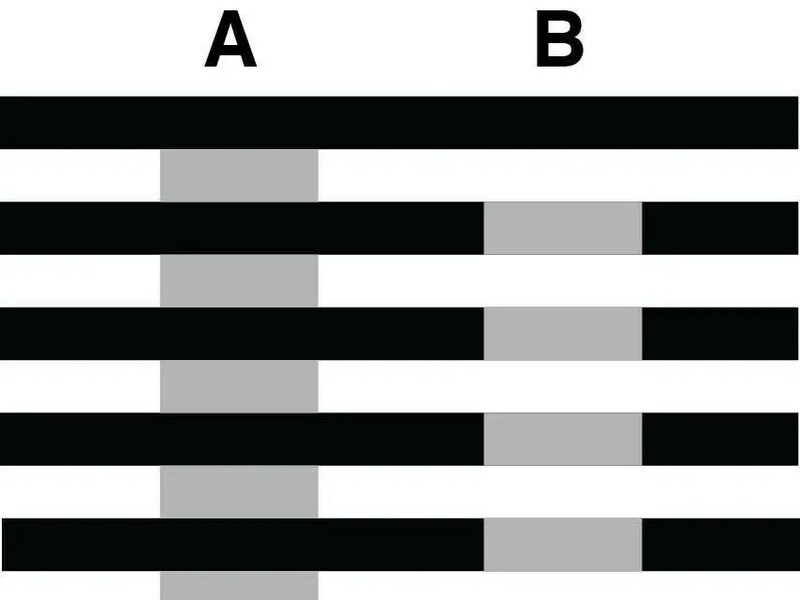 White’s Illusion: The gray bars under A and B are the same color! 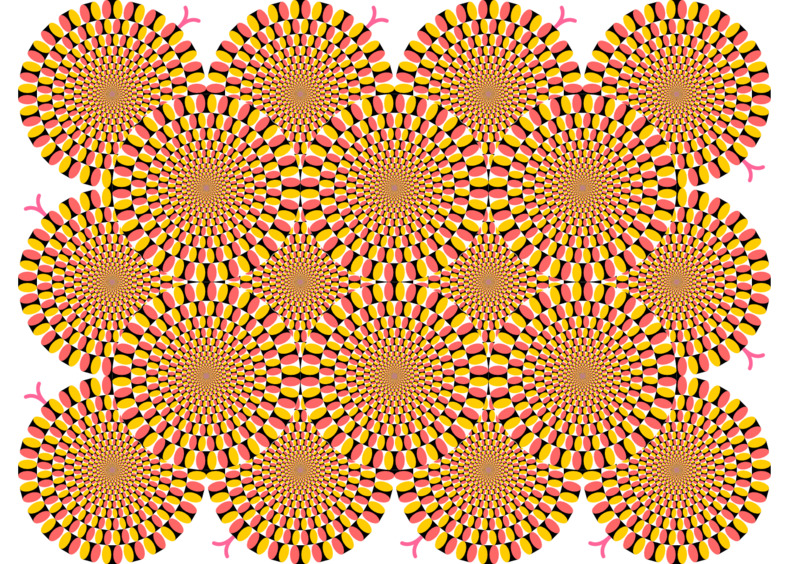 Illusory motion: The contrast of the colors and the shapes makes it seem as if different circles are moving, but the image is completely static. 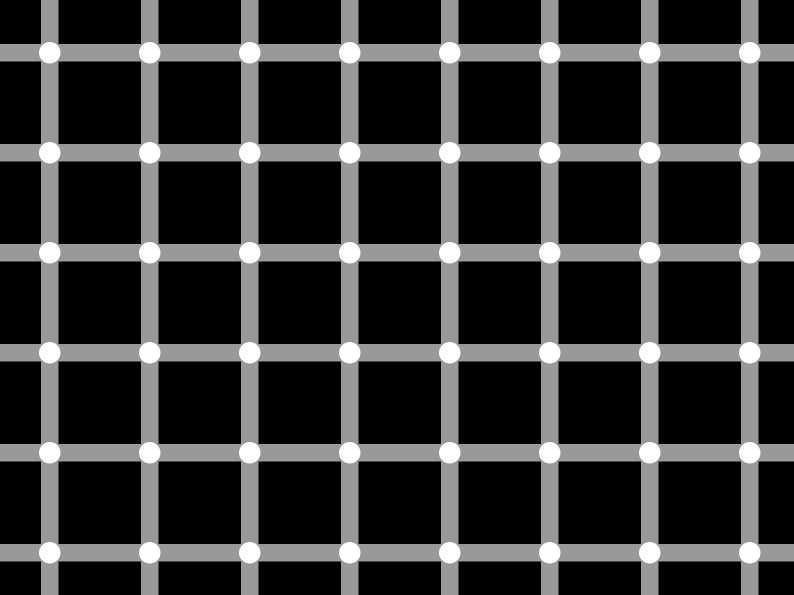 Scintillating grid: As you scan your eyes over the grid it looks as if black dots are disappearing and appearing at the intersections, but in reality all the dots are white. Watercolor illusion: The light-colored lines on the inside of the shape make it look as if the orange is blending into the white, but it’s an illusion. Cafe walls illusion: The lines are straight and parallel, but your eyes make them look as if they are sloping. 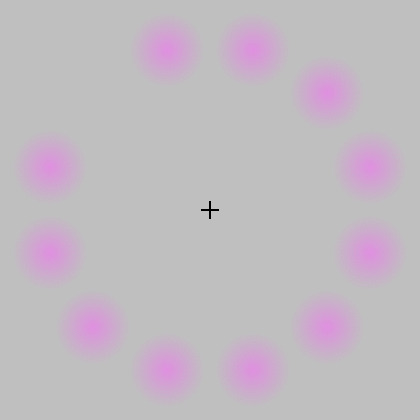 Lilac chaser: As you focus on the black cross, the many static purple rings disappear, and only one moving circle seems to be left. 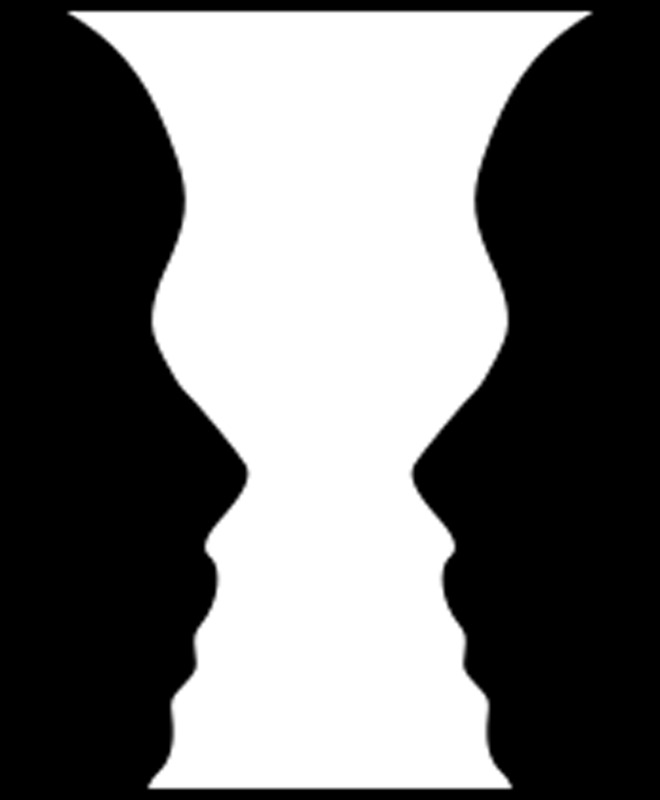 The perception illusion: Do you see two faces, or a vase? Depending on whom you ask, it could be either. 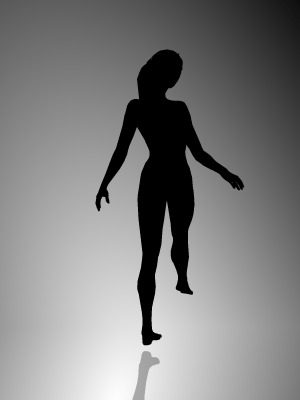 The Spinning Dancer: Is this dancer spinning clockwise or counterclockwise? 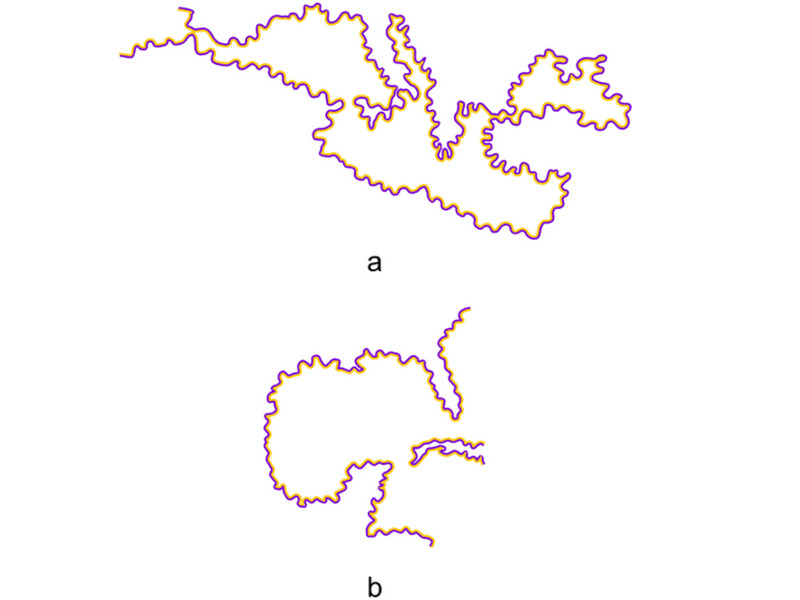 It depends on which foot your brain perceives to be touching the ground. 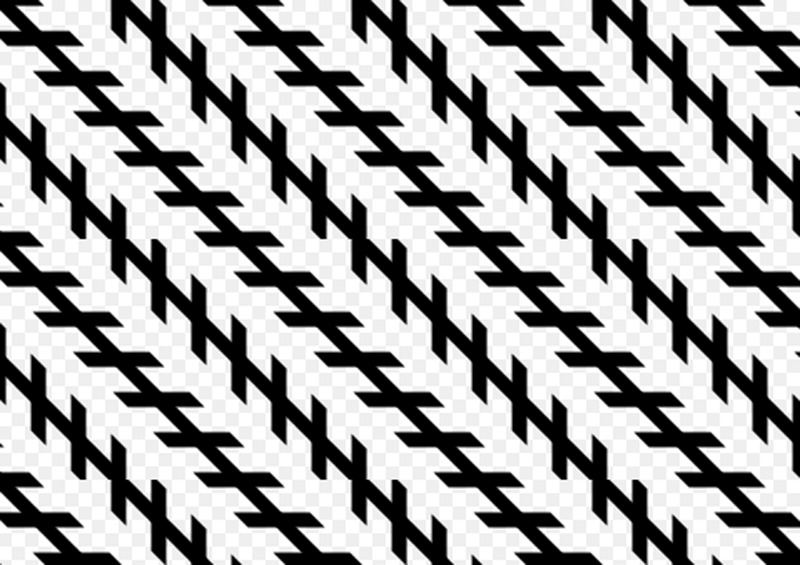 The Zöllner illusion: The long black lines appear to be crooked because the shorter black lines are at an angle to each other. 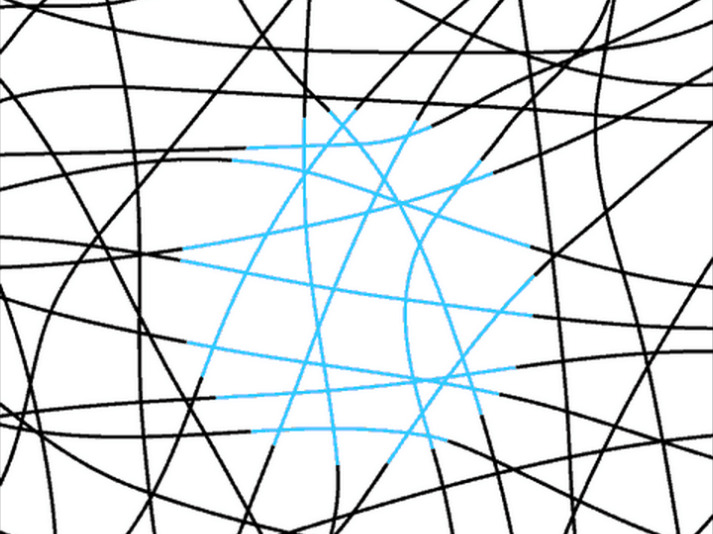 In reality, however, the long black lines are parallel. 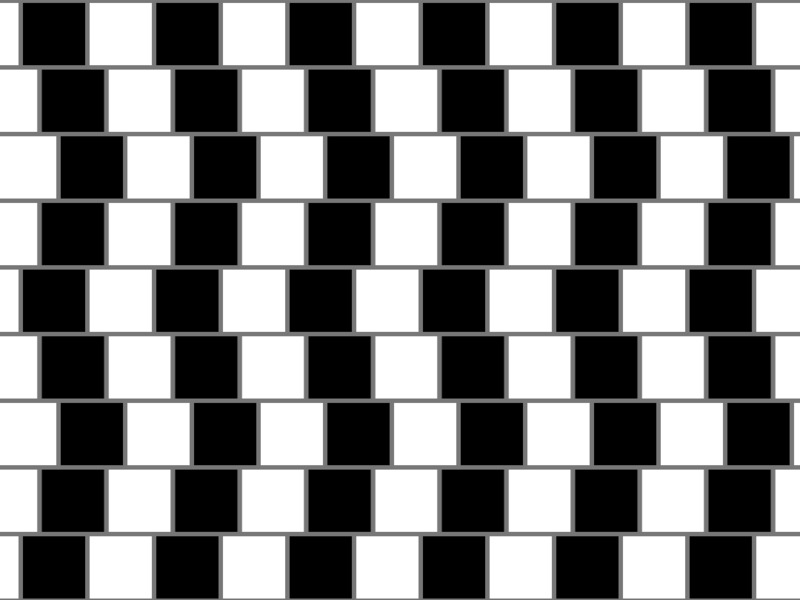 The Sander illusion: The diagonal line on the left of the figure appears to be much longer than the diagonal line on the right, but they are actually the same length. 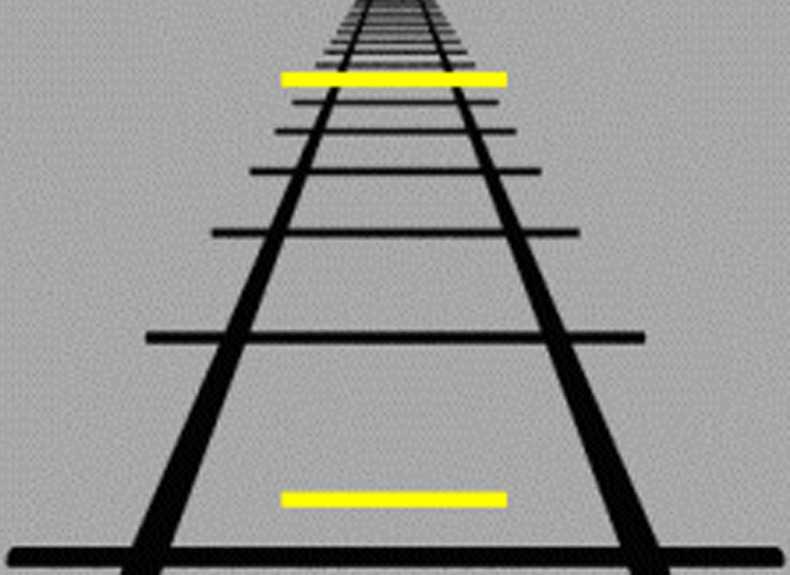 The Ponzo illusion: The yellow line farther down the tracks appears to be larger than the closer yellow line, but they are both the same length. 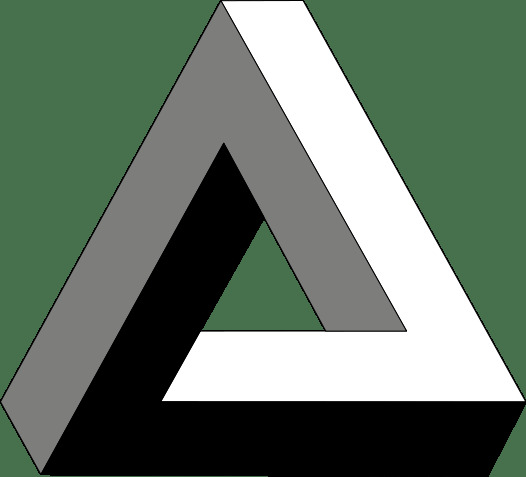 The Penrose triangle: This triangle is an example of an impossible object, a type of optical illusion that makes an object appear three dimensional when it is actually 2D. 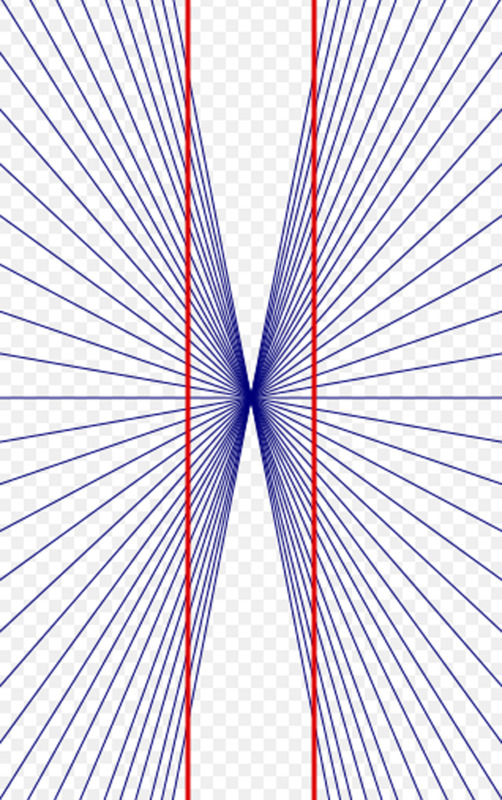 The Hering illusion: The two red lines in the image appear to be bending outward, but they are completely straight. The Delboeuf illusion: These two black circles are exactly the same size.